*Applicable to bookings of £1300 or more. Prices are per person based on two sharing an obstructed outside cabin. On board spend is per cabin. All cruises depart Southampton. Cruises N608, A610 and A608. On board spend is available for Select Price fares booked before 24 November 15. 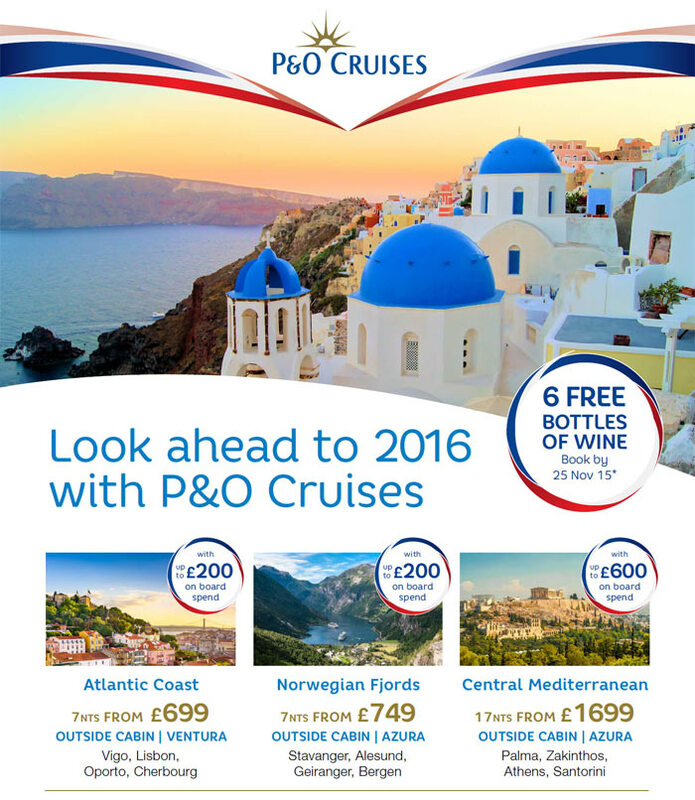 Premier Travel is acting as an agent of P&O Cruises ATOL 6294. Subject to availability. Terms and conditions apply.